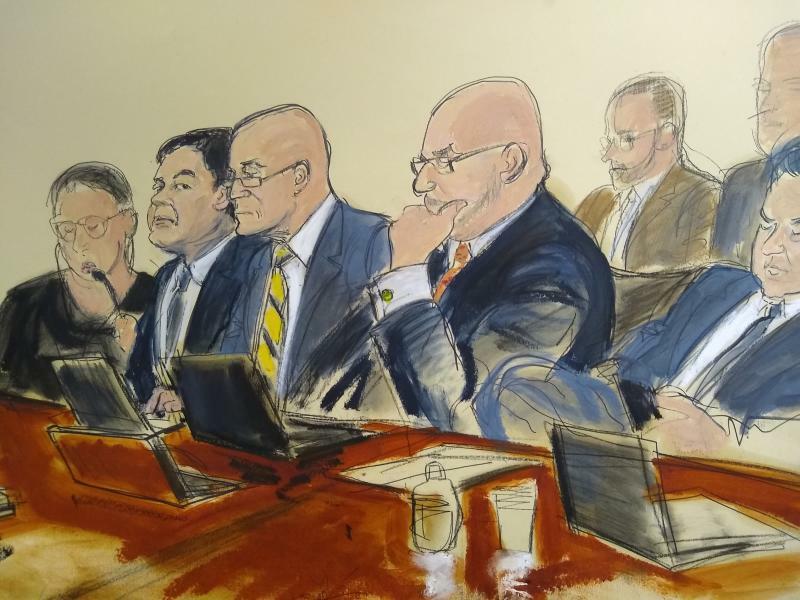 Jurors at the US trial of Mexican drug kingpin Joaquin "El Chapo" Guzman are in their sixth day of deliberations. They included seven drug trafficking charges, one count of engaging in a criminal enterprise, one count of money laundering and one charge of firearms offenses. Over the course of two and a half months, a jury of eight women and four men in Brooklyn federal court heard testimony about unspeakable torture and ghastly murders, epic corruption at almost every level of Mexico's government, narco-mistresses and naked subterranean escapes, gold-plated AK-47s and monogrammed, diamond-encrusted pistols. He now faces a possible sentence of life in prison. He did not try to deny his crimes, but instead had his lawyers argue he was merely a fall guy for corrupt government officials guilty of far worse wrongdoing that him. The 61-year-old Guzman broke out of Mexican prisons twice before he was finally recaptured and extradited to the United States in 2017. Now, the jury has handed in their verdict, finding the Sinaloa Cartel's leader guilty on all ten counts. Mexico has been mired for 12 years in a deadly military-led war against drug gangs. He escaped from a Mexican prison in 2001 in a laundry cart and again in 2015 through a tunnel. President Andres Manuel Lopez Obrador was elected past year after promising a change, suggesting a negotiated peace and amnesty for non-violent drug dealers, traffickers and farmers. Despite Guzman's downfall, the Sinaloa Cartel still has the biggest US distribution presence of Mexican cartels, followed by the fast-growing Jalisco New Generation Cartel, according to the US Drug Enforcement Administration. In 2009, Forbes Magazine put him on its list of the world's richest people, with an estimated $1 billion.